in the Classroom will be offering this summer to teachers! 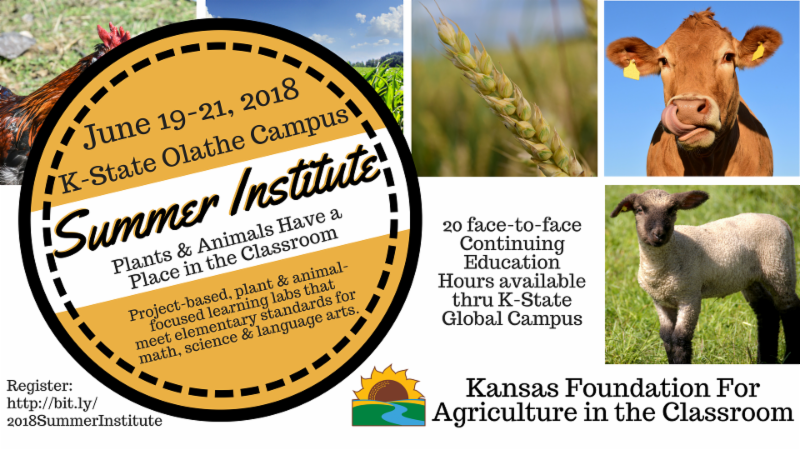 Join us for our third annual summer conference for educators, FFA advisors, education students, volunteers and agriculture enthusiasts. Click here to learn more and register for the event! This year's theme is "Plants and Animals have a Place in the Classroom." Join us for this great event where you can also earn continuing education hours.